The master recording is the original recording of a song from which all copies of that song are created from (CDs, vinyls, mp3s). Owning the master means that you can distribute or license its usage (radio, television, streaming). Having the rights to a master track is having the copyright to that piece of music. In almost all cases, the music label that an artist is signed to owns the rights to these masters and thus the revenues made from when this music is played. 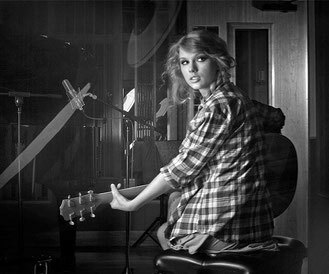 Taylor owns her songs in the sense that she is the publisher and the creator of the songs melodically and lyrically. But she does not own the distribution and copyrights to her songs (from her first six studio albums) sonically. Big Machine does. Owning your masters means that the entirety of your work is yours (if you are also the publisher, which in Taylor’s case she would be) and Taylor would accrue more revenue and have more ownership/control of her work vs. just having the publishing rights. It's no surprise that Taylor left Big Machine given that the lynchpin of her staying with them depended on gaining ownership to her first six albums. It’s disappointing and sad but also not surprising that Scott Borchetta would elect to choose maintaining the revenues from Taylor’s first albums now that streaming has hit its peak vs. continuing to hold onto Taylor for the sake of their decades+ working relationship.